Amid A Shortage Of Welders, Some Prisons Offer Training Baby boomers with the skill are retiring and not enough young people are replacing them. In Georgia, inmates are given access to heavy tools and blowtorches so they can get a welding certificate. In the '80s, when Flashdance brought us Alex the welding woman who really wanted to be a ballet dancer, America had well over half a million welders. Welding was hot. 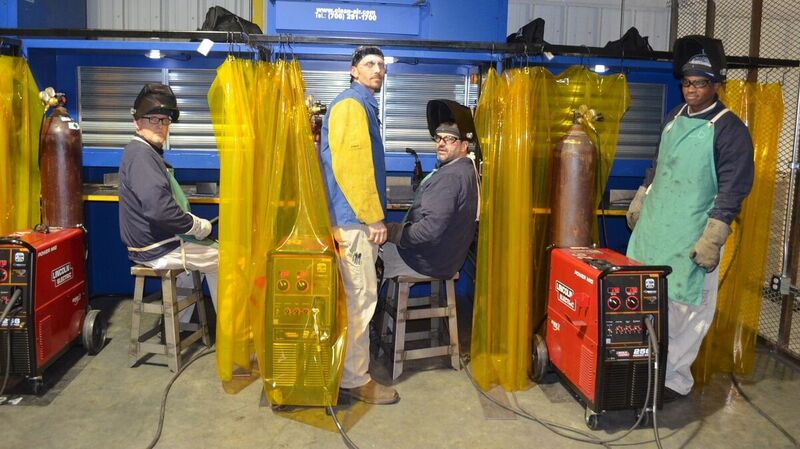 Today, there are about 40 percent fewer welders. "If it's an opportunity for me to dive into welding and they say I have a job here, I'm going to say, 'That's me,' " Peeples says.